David Calder, David Tennant and Hamish Clark star in these BBC Radio 4 dramas based on the original TV series. 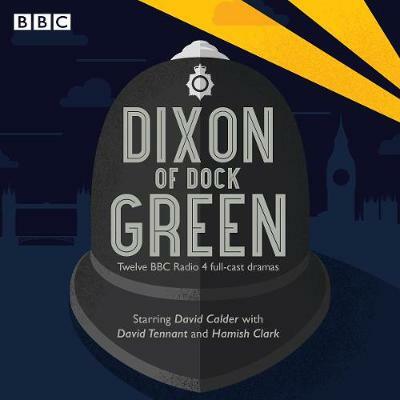 George Dixon became one of the best-known and most-loved fictional policemen during the course of three decades of BBC TV's Dixon of Dock Green, in which he was played by Jack Warner. In these 12 radio adaptations he once again upholds the law on the streets of 1950s Dock Green. David Calder stars as PC George Dixon, with David Tennant and Hamish Clark as PC Andy Dixon. Running time: 6 hours approx.